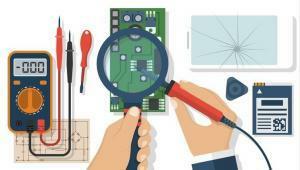 We get asked all the time if we teach microsoldering or have an online course somewhere. Well, we’re proud to announce that we’ve created several online courses at Udemy. Our friend, Tom, developed the first two courses called Microsoldering: The Basics and Microsoldering: ZXW Tools Schematics. We partnered together to create the third course called Microsoldering: Backlight, Touch, and Charge. We have a fourth course titled, Microsoldering: Data Recovery – Dead iPhone Repair. Update! We no longer sell the individual courses separately. Instead, we only have Microsoldering: The Full Curriculum. You can see the details below. 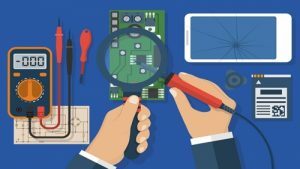 The first course, Microsoldering: The Basics, covers the basics of iPhone logic board repair, from the basic building blocks of the logic board to the tools and equipment necessary to basic fault finding and troubleshooting. If you’re new to logic board repair and don’t know where to get started, then this course is for you. The book will give you very detailed and specific instructions on how to get started all condensed into a 1-hour lecture. The second course, Microsoldering: ZXW Tools Schematics, talks about how to use ZXW Tools Dongle. We go through in depth how to use ZXW Tools to troubleshoot and repair iPhones and iPads. A lot of people buy this tool, but don’t quite know how to use it effectively. This course will show you everything that you need to know. The third course, Microsoldering: Backlight, Touch, Charge, covers three of the most common repairs: no backlight, touch IC disease, and charging problems. We go into detail about what causes each of these problems, exact details on how to fix them, and how to tackle secondary problems post repair. We’ve spent countless hours repairing these problems on hundreds and hundreds of iPhones. This course details our experience with each of these problems. Our last course is Microsoldering: Data Recovery. It took 6 months to make this course. We go over everything from the boot sequence to the essential lines/chips for boot to finding a relieving shorted power lines. This is a comprehensive solution to data recovery from a hardware and microsoldering perspective. This course will definitely help you get started in iphone data recovery. Now, you can buy Microsoldering, The Full Curriculum at a big discount. We’ve combined all of our courses into one through the link below. Learn everything from the basics to zxw tools to advanced repairs to data recovery. 3.5 hours of content! We’ll also be adding a section for microsoldering techniques in the very near future. Our goal is to help you get started with your microsoldering journey in the most efficient way possible.